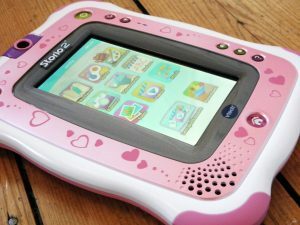 We’re living in an increasingly digital age that’s more or less done away with traditionally made toys, but toy companies are finding ways to take older toys and repurpose them for a new generation brought up on smartphones and tablets. Although there were probably still a lot of Apple, Sony and Samsung products under the tree, here are some of the top-selling toys that came about in 2013. 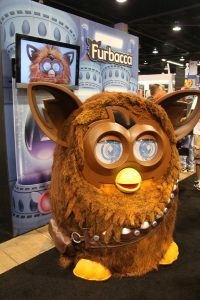 Furbies have seemingly stood the test of time by switching up their style to appeal to the kids of today. In our top gifts from 20 years ago list, Furbies were at the very top; creating full-on stampedes at store fronts and selling out nationwide to the run-up to Christmas. The stampeding may not be as bad, but surprisingly Furbies are still resonating with a new generation of youngsters. Furby Boom came with a few key changes that made it appeal more to our current social media-driven audience. For one thing, the eyes are no longer incredibly creepy and instead come in the form of animations on screens that allow for more expressions beyond the 1000-yard stare. The toy had an added touch of interactivity through an accompanying app called Furby BOOM that came with fun ways to care for your Furby and the ability to hatch a digital Furbling. You could place the toy by your smartphone or tablet to connect your Furby with the Furby BOOM app to help you teach it its name and help you to hatch more eggs. NERF is another brand that has retained a long-lasting appeal for years. They’ve evolved beyond simple dart handguns and have branched out into practically any kind of ordinance you can think of. The NERF N-Strike Elite RapidStrike is similar to a submachine gun with an 18-dart magazine, and the NERF Rebelle Heartbreaker Bow is a bow and arrow that can fire NERF bows up to 75 feet. 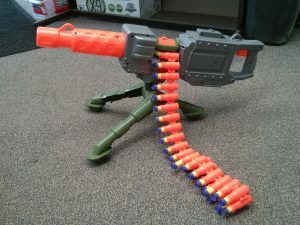 There’s even a NERF gun that’s pretty much just a minigun! Can you imagine how long it would take to find all of those darts? Nowadays, NERF are making the most money from a series of tie-in guns from the new Star Wars movies, including a Stormtrooper blaster, as well as Han Solo and Chewbaccas blasters. Children are born acclimatised into a world of smartphones and tablets, so it stands to reason that they all want one of their own. Of course with anything that’s connected to the internet (and that’s capable of charging Mummy and Daddy’s debit cards for micro transactions) there’s going to be an element of danger for children. The VTech InnTab 2 is an example of a fun starter tablet that children can use to read e-books, watch funny videos and learn through educational games. Plus, it costs a lot less than your average tablet PC, so kids can have fun without costing their parents hundreds or even thousands of pounds. Part of its popularity came from the sense of security it offered for parents, because although it used Wi-Fi to connect to different games and apps, you couldn’t take it onto the World Wide Web, where all sorts of unsavoury content is accessible. Were these absent from your Christmas tree 5 years ago? What are your memories of Christmas 2013? Let us know down in the comments!